Historically, Hoi An has been one of Southeast Asia’s chief trading ports, a place where people and culture converge. As such, it is not surprising that this quaint town has remained a buyer’s and seller’s paradise. Hoi An is a commercial centre, a market and a melting pot, all rolled into one tastefully attractive cornucopia of commercial products. The increased flow of tourists has created a new market for traditional handicrafts and artistic creations in Hoi An. With new demands and desires, the combination of ancient customs and contemporary creativity pushes new boundaries and results in dazzling products. Don’t miss the signature lanterns or original jewelry designs crafted with silver and a variety of precious gems. Beyond the souvenirs, there are high quality crafts and elegant clothes. If you have a design in mind, bring in your ideas and see them come to life. Otherwise, peruse the selection and pluck the perfect piece. 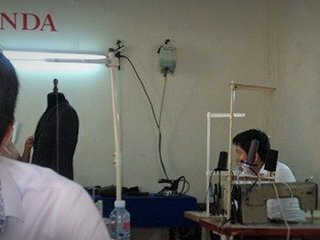 Of course, the main shopping attraction in Hoi An is the flocks of custom tailors waiting to make you the perfect outfit. Whether you’re in the market for a Western styled suit, a traditional Vietnamese Ao Dai or anything in between, there is a boutique with the fabric and expertise necessary to bring your dreams to fruition.